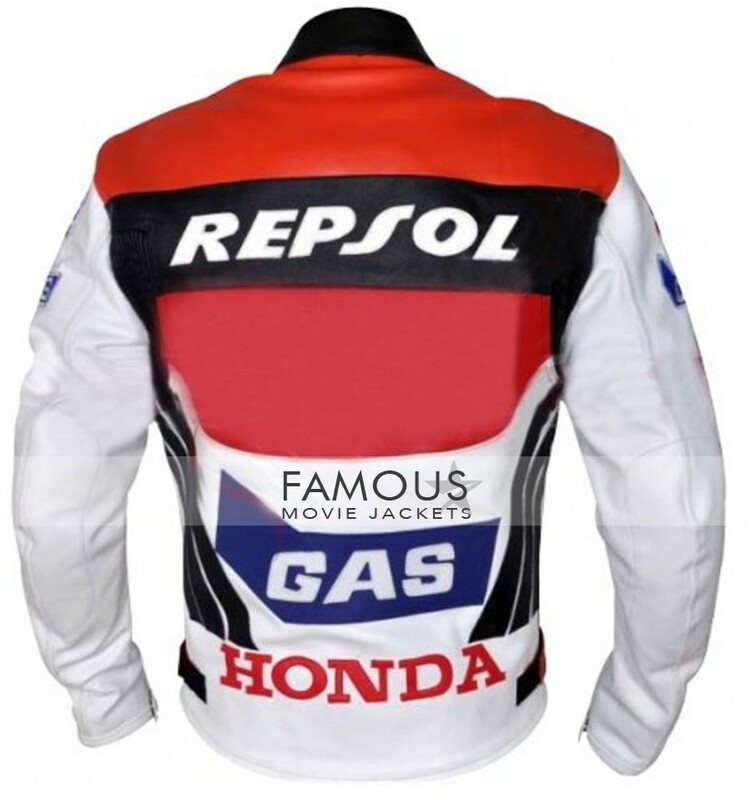 International bikers it your time now.We brings you Honda Repsol Red/White Racing Motorcycle Jacket the total out standing and over whelming leather Honda Repsol Red/White Jacket with hot style making you the unique of all while riding you heavy biker that every third girl will easily fall for you.You just have to wear this leather motorcycle cloth on your hot wings and you are just on a click to your dreams.The patch style the pure red and white color and the sponser looks makes it too really good to get whether you are here in any type of reason. 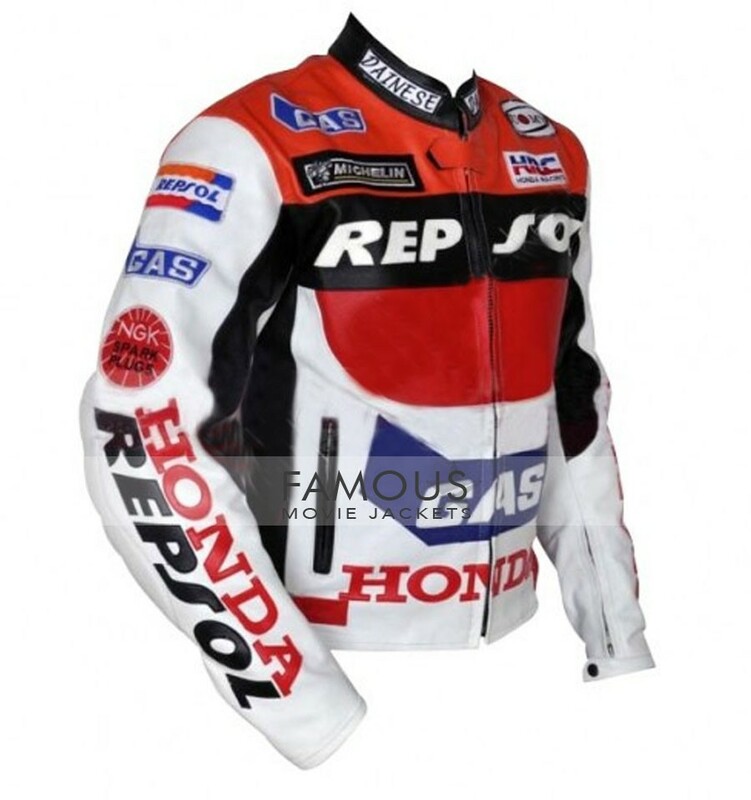 The jacket features with red an white honda style making up with biker jacket round neck collar.The pure fiiting style make its the most perfect and Honda logo makes it most complete.Order this and get it now. superb thing I ever had and all that is written in description totally defines this jacketâ€™s just love it people because I have never expected that I could get such an reliable thing online from here at very good price. biker jacket is always loving for any biker and having this make you bold and stylish, i like the quality it’s like a premium one, weight of it very much heavy and inner padding is good for safety purpose.